I have just listened to this show moments ago. Whether you are someone who ordinarily might listen to channelled information or not I would encourage you to do so now. There is no higher quality Channelling of this caliber that is presented in this way available on this planet right now. Archangel Michael started addressing us and at a certain point He said Mother was beckoning to Him and then She came in and took over. The fervor – the urgency – the clear message – will not leave you unmoved. Yes we know already that change is imminent – when you listen to Archangel Michael and Divine Mother you will have no doubt of this. Anyone with any inner desire to be among those who wish to take responsibility and lead the way forward at the time of and after The Event should absolutely hear this now. 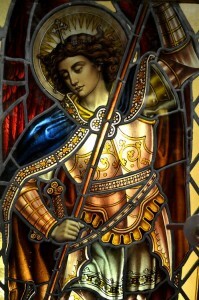 August 20, 2015 ~ We asked Archangel Michael in this week’s Hour with an Angel to address us as construction managers of the Nova Earth project and tell us what the intentions of the project were and what its stages might be. He first of all reminded us that building Nova Earth did not involve devastation and destruction, like some channels are saying. (2) Creating the plans, financial backing, and team support needed to begin construction. He said that the first stage of building Nova Earth needed to involve freeing people from their fear for their survival. That meant ridding the planet of homelessness and other forms of poverty, seeing that everyone had enough to eat, and restoring freedom to those who have been slaves. Next comes creating the structure of community – codified laws, honest government, and a compassionate community. He said that our star brothers and sisters would join us on the ground before the end of the year. 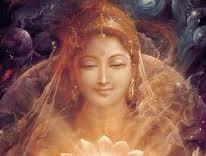 The Divine Mother then indicated that she wished to speak and advised us to build slowly. If we didn’t build in time for rituals, walks in nature and time with our loved ones, then we were not following her plan. I asked her how we deal with our fear of ridicule and naysayers. She advised us to take them by the hand and invite them to watch. Not necessarily involving them, because there was still a hint of sabotage, but including them as observers. (1) The phrase originated with Werner Erhard in the 1970s. ok therese, i will listen only because this is coming from you. i am a building contractor and can also draw structural plans for our new earth.